I was so curious to see how everything would pan out at the inaugural NASCAR race at Kentucky Speedway. 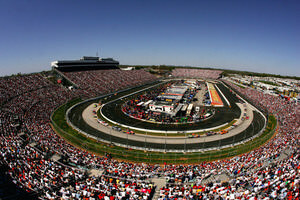 I was filled with questions; “What does it mean when a track is chosen to host a NASCAR Cup race? Where does it situate that track in the history of the sport?” and so on. As an historian, I have examples everywhere of first races at tracks. I can look at the first race at Martinsville, where everyone went home covered head to toe in red clay dust. I can look at Daytona International or Talladega Superspeedway, where drivers were scared to pieces by the impossible steep banking that climbed high above them. There’s Darlington Raceway, a beauty unlike any driver had ever seen, black asphalt glistening in the hot South Carolina sun. There are modern examples as well. Auto Club Speedway which brought racing back to Southern California and Infineon Raceway, which replaced the storied Riverside International as the west coast road course. There are even a good handful of tracks which have only ever hosted one race. 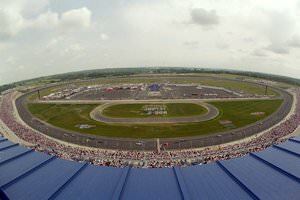 The race at Kentucky Speedway opened up the very limited opportunity of hosting a race to a relatively untested track. Yes, Nationwide has run there. And certainly, the drivers have run there for testing in various capacities. 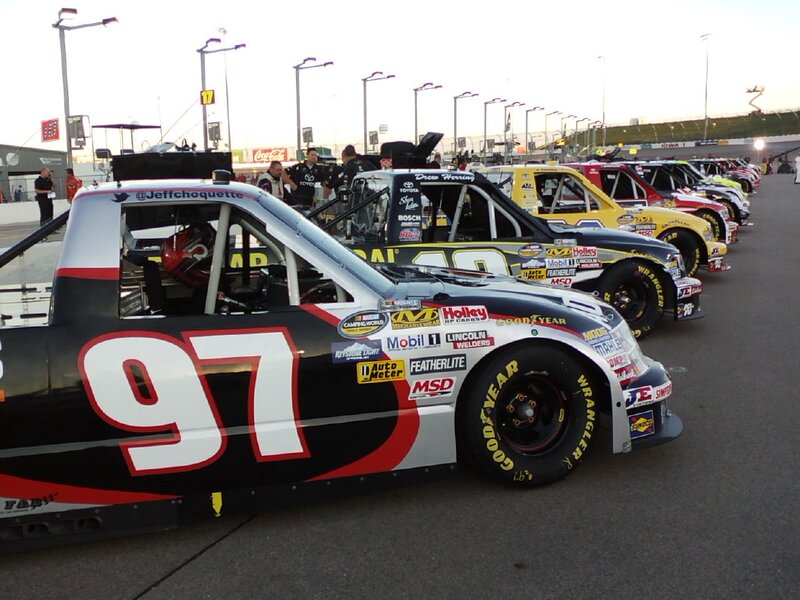 But this past weekend was the true test of the Speedway. The first date jitters had to be quelled, the flirting was over with. 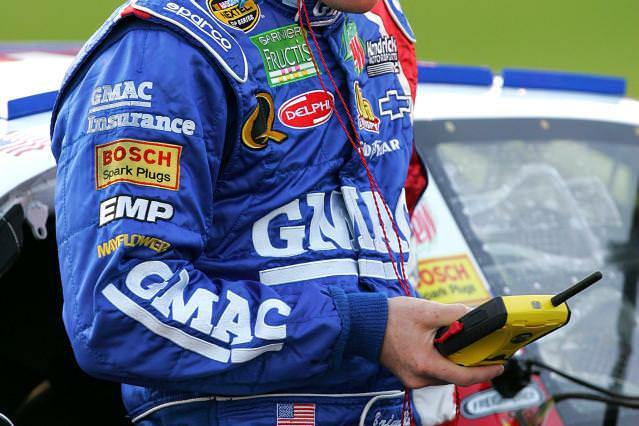 It was time for NASCAR and Kentucky Speedway to get together and see if sparks would fly. Well … maybe they’ll just stay friends with benefits. The wrinkles that need ironing out are many. The traffic woes are the highlight of the night, which isn’t fair to the race itself. Bruton Smith knows race tracks in and out. I think that this is what makes the traffic disaster so baffling. Here is one of two guys who know race tracks better than anyone. If it had been Humpy’s track, maybe he would have just rolled tanks down the freeway to clear up the mess! It brings to mind the first race at Darlington Raceway, which has an interestingly similar story. In substance; if not in result! The first Southern 500 attracted a significantly larger amount of people than expected. Where Harold Brasington, builder and owner of the Lady expected 10,000 people nearly twice that number showed up. As the crowd grew over the weekend, the local highways became crammed full of folks trying to reach the track. The track decided to open up the infield for fans to camp over night. The officials at Darlington asked their overnight guests to return outside the gate in the morning to buy their tickets for the race, which they happily did. Local Jaycees even came and opened up all night hot dog stands to feed the fans. This was the first infield camping set up that fans are so familiar with these days. Local families even opened up their homes for drivers and fans. Maybe the Bluegrass State locals will take pity on the fans trapped in traffic if this happens again next year. I don’t actually want to write about the race itself. It wasn’t very interesting in general, but there was a great finish brought on by the late caution. I also don’t want to talk about the strange legal wranglings that brought this race to the game, since it reminds me in some ways of the mess that lost us the race at North Wilkesboro. I dohowever want to say that though I am in general much more in favor of NASCAR bringing racing back to the short track roots of racing, it was great that we came to a Southern track. There was no reaching to find the mysterious new market fan, they came home to the South and I think that in the long run, it will be a good move for the sport. I enjoyed being able to watch a “First Race” and see how a race track steps up to that most intimidating of all plates and becomes an Officially Sanctioned NASCAR race track.